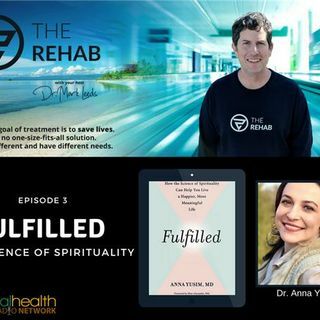 At the intersection of where science and medicine meet spirituality, Dr. Anna Yusim has written a book to serve as a guide for doctors and patients to reconnect with their souls. When it comes to medical addiction treatment, doctors do not always have all of the answers. Dr. Yusim understands that there is no one-size-fits-all solution to help all patients. The solution lies in finding spiritual solutions that are unique for each patient. Doctors can also apply these principles in their own ... Más informaciones lives.